New Delhi, Oct 25 (IANS) The Centre’s decision to recapitalise public sector banks “being looted by corporates” by infusing Rs 2.11 lakh crore is the “worst expression of crony capitalism”, the CPI-M said on Wednesday. The left party also demanded “immediate confiscation of properties” of the defaulter corporates. “The infusion of a staggering Rs 2.11 lakh crore comes at a time when state-run banks are burdened by humongous non-performing assets. Instead of pursing corporates not returning money raised as loans from banks, estimated at Rs 11.5 lakh crore, the government has virtually pardoned the defaulters,” the Communist Party of India-Marxist said. The opposition party said that the Narendra Modi government had written off corporate loans of Rs 2 lakh crore in three years and that the “mega concession for corporates is now being met through public funding”. “It tantamount to Indian people bailing out banks being looted by corporates. There cannot be any worse expression of crony capitalism,” it said, adding that while loan waivers for farmers committing suicides due to agrarian distress were not materialising, corporates are “being encouraged to run away with loans raised from banks on the money deposited by crores of Indians”. The government on Tuesday announced a Rs 2.11 lakh crore recapitalisation plan for state-run banks. Of this, Rs 1.35 lakh crore will be raised through recapitalisation bonds and the remaining sum through budgetary support and market borrowings. The CPI-M said the logic advanced by Finance Minister Arun Jaitley for the move was “flawed”. “Increase in investments, per se, cannot increase employment and growth rates. What is produced through these investments has to be sold for this to happen. “In a world of shrinking trade, when Indian exports have hit rock bottom for the last 20 years, purchasing power of Indians has significantly reduced — thanks to demonetisation and Goods and Services Tax — and domestic demand has drastically shrunk, the Finance Minister’s logic is simply unrealistic,” it said. 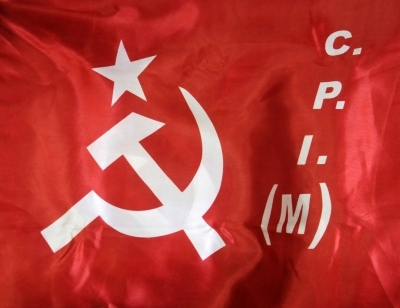 Demanding confiscation of properties of the corporate loan defaulters, the left party said the common people cannot be asked ro “pay to protect corporate loot of public money”.